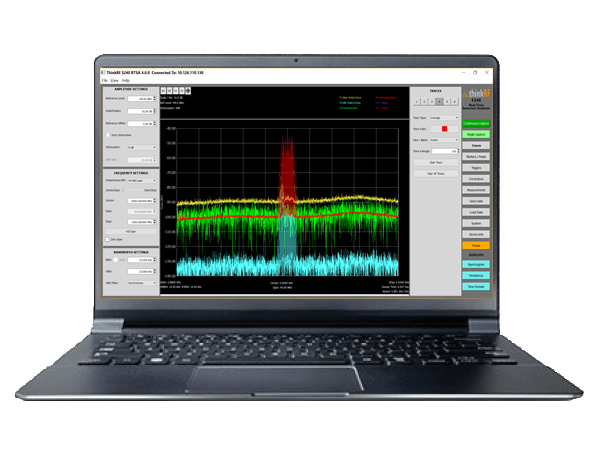 The ThinkRF S240 Real-Time Spectrum Analysis software features an advanced and easy to use graphical user interface (GUI) that has been designed with the end-user in mind. Common functions including Frequency, Bandwidth, and Amplitude are visible at all times so that it’s easy for the user to get the right view. All other settings and functions are accessible with a minimal number of clicks to keep the view of the spectrum front and center. 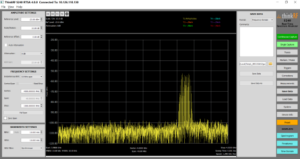 With 100 MHz, 40 MHz, 10 MHz, or 100 kHz real-time bandwidth (RTBW), the S240 is powerful enough to give you the complete picture for any application including wireless deployment and spectrum monitoring. 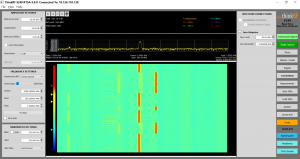 Featuring three visualization modes – Spectrogram, Persistence, and Time-Domain – you can select the best view depending on your application and analysis requirements. The S240 provides the capabilities you need with a large collection of standard features an functions. 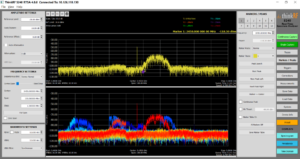 Automatic measurements including Channel Power and Occupied Bandwidth, built-in horizontal and vertical cursors, multiple markers, and various traces are all available with minimal clicks to make it easy to analyze all signal related parameters. Easily save and record data for future in-depth analysis that is difficult to do in real-time. The user can either manually save data for any duration of time, or set up triggers to automatically capture and save only if the signal falls within the specified range. This triggering capability makes the file size more manageable and allows the users to capture only the signal of interest. 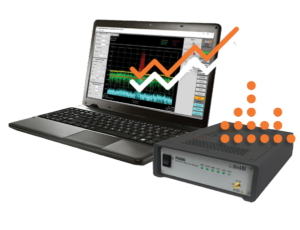 For more information on how you can purchase the ThinkRF S240 Real-Time Spectrum Analyzers, Contact Sales.